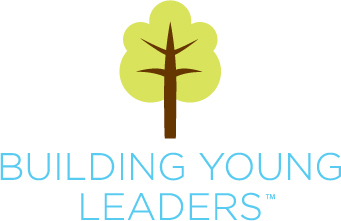 Wondering why you should be part of our BYL family?Check out this feedback! "I just have to brag for a second on how amazing Building Young Leaders and Wendy Spencer are! This year we enrolled with Inspire Charter and found out more about Building Young Leaders. My oldest son is now in 8th grade and super active in BYL and has made so many new friends! I also have 2 boys (6th and 3rd grade) and a girl (1st grade) who are taking a class on Thursdays--they started out super shy, but now have friends! It makes my heart happy!" "I was looking at the 'It’s About Time' program, and reflecting on what fantastic shows those were, both the one for the schools and for the Friday night audience. I LOVED them! They were SO well prepared, SO well done, SO meaningful and SO enjoyable! From the clever title to everything else, they were very amazing. I can’t say enough about the high quality of the choreography, the costuming, the messages/meaning of the dances and slides, the choices of music (peanut butter and jelly, just one example! ), how the videos tied the whole theme together, the venue, the cleverness of the puppets, the puppets dialogue, etc. etc. Not only the audience loved the shows, but you could tell from the smiles on the dancers faces, they loved doing it as well. Thanks for lifting us with the beautiful art of dancing, music and great value messages. To me, it is obvious BYL has a far-reaching, positive influence on not only each of the individuals participating, but the community as a whole. Thanks! We loved it!" Main Entrance on the (back) North side of the building in the Bear Creek Galleria. We're partnering with Inspire Charter School to bring a flexible, exciting educational program to Merced area families! Click Here for Information and email us with additional questions! Performing Arts Classes & Our Homeschooling Program are OPEN for Enrollment! We also offer Private In-Home Tutoring! For more information, please email us or fill out our registration HERE!